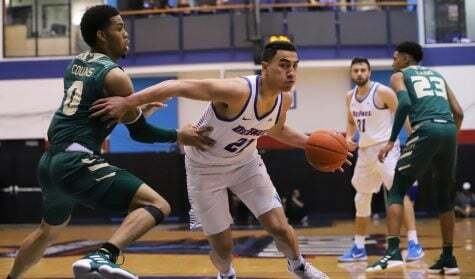 Sitting at 6-6 after non-conference play, DePaul men’s basketball is about to begin their first Big East conference play with head coach Dave Leitao. 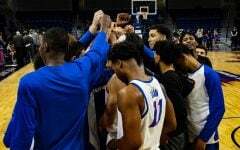 Editor-in-Chief Matthew Paras and Sports Editor Ben Gartland discuss the state of the Blue Demons heading into conference play. 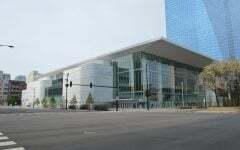 DePaul starts the Big East against Georgetown Wednesday 8 p.m. at Allstate Arena. 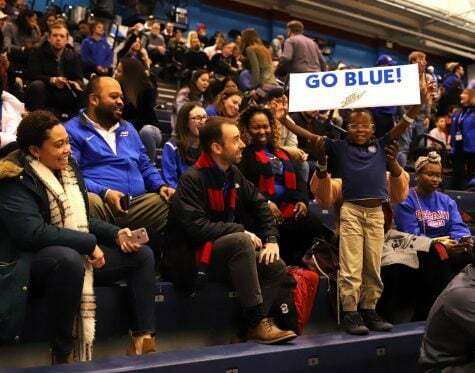 Matthew Paras: So Ben, at 6-6, the Blue Demons have certainly had their ups and downs so far, but 12 games into the second Dave Leitao era, I wanted to know your thoughts. Is .500 about what you thought after 12 games? What’s working, not working? Let’s start there. Ben Gartland: They’ve shown some really good flashes and some pretty poor flashes. This is probably around where I realistically expected them to be. I didn’t expect them to struggle against Drake but I also didn’t expect them to play Northwestern so close and I certainly didn’t expect them to dismantle a ranked George Washington squad. What I’ve noticed is that every time they seem to be heading for a long losing streak, they pull themselves out of it. After the Paradise Jam, they feasted on some local opponents, then played solid squads in Little Rock and Stanford, which were understandable losses. However they played well for 38 minutes against Northwestern then destroyed GW. 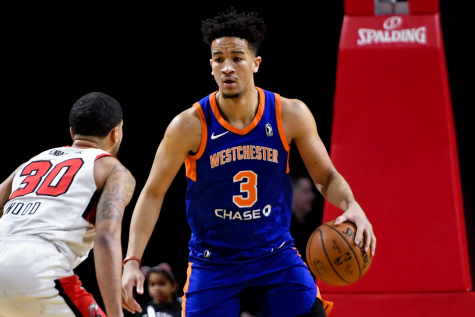 Their defense seems to finally be working but they’ve still shown themselves to struggle against the zone, a trait leftover from the Purnell era. Since you were at Northwestern and George Washington, how did those two games look up close and live? But that dunk aside, I’m feeling a lot better than I was during their trip to the U.S. Virgin Islands. We’ve both heard the “he’s bringing a new attitude” talk from plenty of players, but to some degree, I actually believe it. The George Washington win backed that up. I thought even in their losses, you could see the progress made on the defensive end. 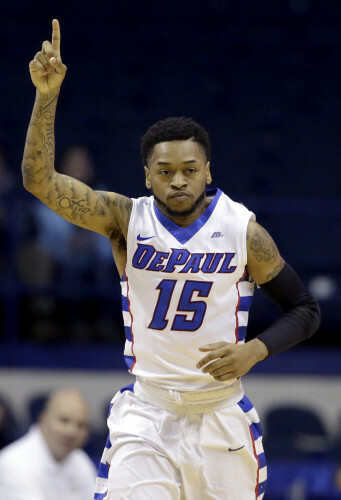 I think, positionally, the Blue Demons are in a lot better spaces when opponent make shots than last years’ squads. 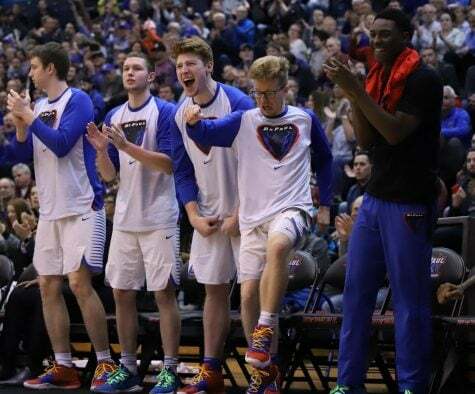 And since they don’t pay us just for the good ol’ eye test, the Blue Demons’ defense is letting up an average of 102.3 points per 100 possessions this season, according to Kenpom. Last season, they gave up 105. 4 points per 100 possessions. More importantly, they’ve jumped from No. 228 in the nation to 177 ranked. 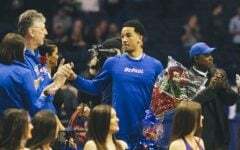 From a pure numbers standpoint, DePaul’s defense gave up 75.5 points per game after non-conference play last season. This year, it’s only 70.8. So there’s progress being made. 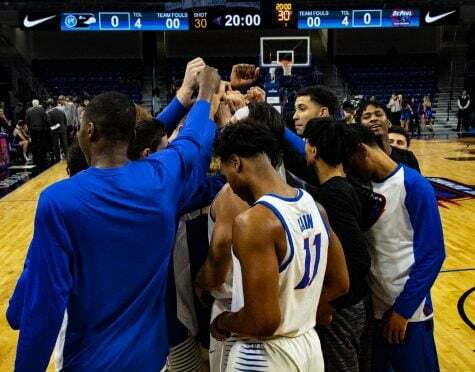 Gartland: Following along the same line as a new attitude that Leitao has brought in, it’s been interesting to watch that in this year’s new players. One thing that I have noticed has been the emergence of Eli Cain. 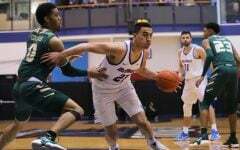 He’s been very solid, starting 10 out of 12 games and earning some significant minutes for a freshman. 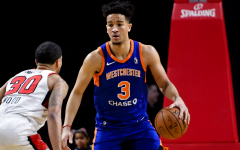 His average of 8.8 points a game isn’t world beating by any means but he is showing a lot of potential and, more importantly, is complementing the scorers on the team in Billy Garrett Jr. and Myke Henry. Him playing competently allows for rotations with different types of scorers in Garrett, Aaron Simpson and sometimes Erten Gazi. Gazi has been a bit disappointing considering his experience, and Develle Phillips, Oumar Berry, and Fred Scott have been virtually nonexistent, which has surprised me. What or who has surprised you so far? 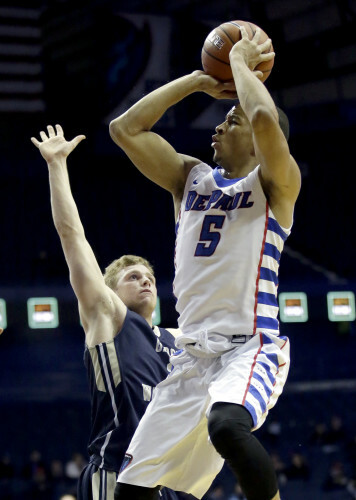 Paras: I definitely agree that Cain has had such a valuable impact for the Blue Demons. Outside of Garrett and Henry, he’s probably their most consistent scorer. Leitao has definitely relied on him, and credit to Cain for living up to those expectations. And I also want to expand on Simpson’s performance. He was always a scrappy player, but Leitao mentioned that he’s someone who has really bought into the change. It’s sort of startling to me,how much more of a consistent shooter he’s become — shooting .500 from three to just 34.6 percent last year. I think when it comes to setting a new tone and getting people interested in the program again, he’s played a huge role. You can just see the energy from him and even the confidence. But should fans be confident going into the Big East? How do you think DePaul matches up? 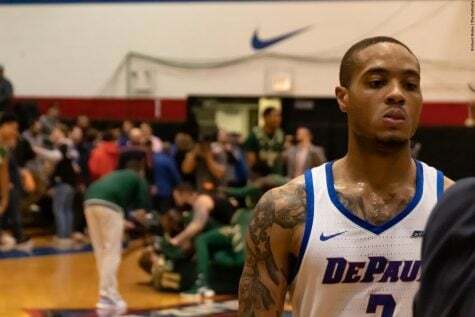 Gartland: I want to be optimistic about Big East play because I do believe this year’s DePaul team is better than last years, problem is so is the rest of the conference. Villanova is their usual selves while Xavier has climbed up to be a top-ten team. Butler is really good again, Providence with Kris Dunn is going to be very formidable and even Creighton and Marquette are better than expected. 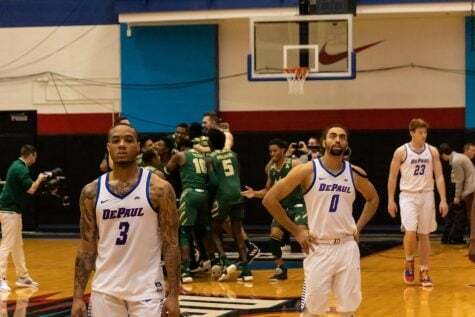 I think DePaul will perform better, but the results won’t exactly show it. I could see them finishing 6-12 again, which wouldn’t be the worst thing in the world in Leitao’s first year. At least St. John’s is in the Big East, right? Paras: Hahaha. 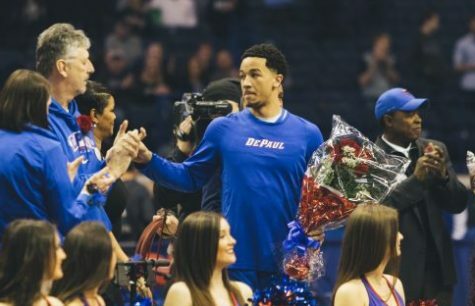 Watch DePaul lose to St. John’s now. Thanks, Ben. But I think you’re pretty on the mark that the Big East is better. Xavier has really impressed me so far this year, and I can’t wait for Kris Dunn to jump to the NBA. However, I’ll be a little bit more optimistic than you and say that’ll they’ll finish 8-10. As tough as the Big East is, I don’t think there’s a stretch on this schedule where I look at it and say “wow, here comes a losing streak.” That’s not to say they won’t lose games in a row, but the toughest stretch probably comes late in the season when two of the last three games are at Providence (Feb. 27) and at Villanova (March 1). I think the main thing with this team is consistency. I’m not sure if there’s been enough offensive progress since making a coaching change and I think that’s something that will definitely have to improve if they want success in the Big East. Gartland: We’ll get a glimpse of how they adjust tomorrow night as they host Georgetown in the opener. Next week we’ll have more to go on as they face off against the Hoyas and then the Seton Hall Pirates this weekend.